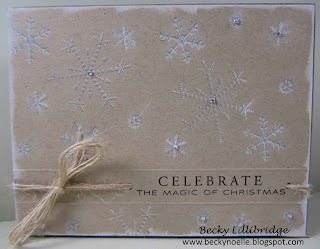 This week's challenge is to stamp frosted images with a two step stamping and little smudging technique. go watch lisa johnson's video and play along! Thank you so much for stopping by! Have a great week! So pretty , like how you did the twine and just a bit of sparkle . Take care Becky. Very pretty! 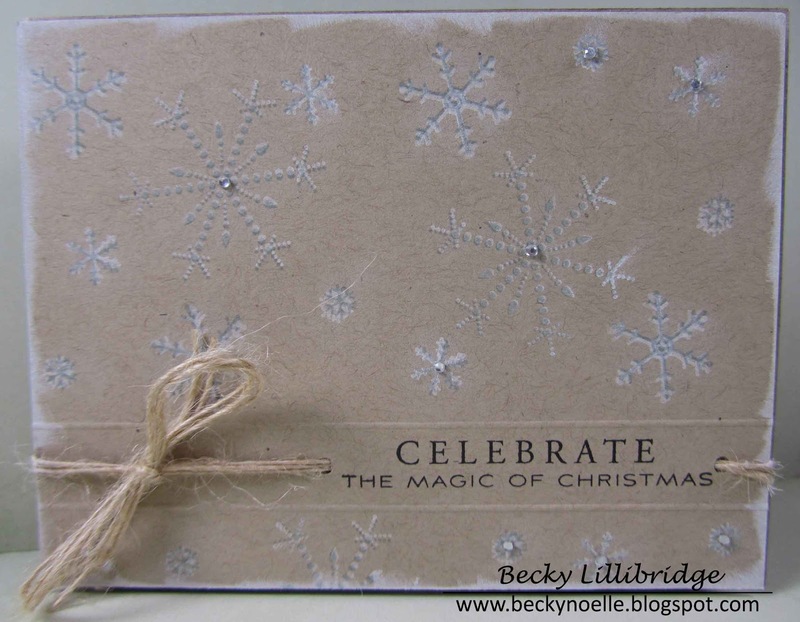 This technique really makes the snowflakes stand out. Its pretty - I like the simplicity!